Ecommerce is fast-paced: the people who work in it are no exception. With new iterations of once familiar technology to grasp, industry trends telling you that email marketing is once again alive and clicking (and was never dead) - it’s hard to stay on top of your game and attuned with the constantly shifting sands of ecommerce. To restore some sense to the mad world of online shopping, we asked our stateside Marquess of Marketing, Jed Wexler, CEO and Head of Content Strategy at 818 Agency, for five quick and easy tips for you to digest, consume and...plant into your content strategy faster than you can count to number two. Enjoy a genuine insight into the world of one of those real-life content strategists. We all have that cute little restaurant down the road that lives like a glowing souvenir in the back of our minds: where smiles, personal service and recognition etch themselves into fondness. It’s that warm, fuzzy feeling that makes you return, right? Everyone likes feeling valued and respected - the same is true for online. A personalised experience is the guiding principle behind ecommerce customer loyalty (and profitability). Jed says: “Above all, before you do anything, make sure you do your audience research, both qualitative (interviews) and quantitative (surveys)." Understanding who your customers are is the first step to building a relationship. Segmenting your market into similar buying groups: by age, income, gender, location, etc, will help you deliver relevant content to buyers in particular segments that are likely to have shared buying tastes and habits. It’s well known that repeat shoppers are worth their weight in gold: every 5% increase in retention rate will lead to a hefty 50% increase in revenue. Smart companies don’t attempt to market everything to everyone - they segment their audiences and focus their messages in the spirit of retention (and sales). Take a look at our handy Customer Segmentation Cheat Sheet, packed full of examples of valuable ways that online retailers can slice and dice their customer base to build relevancy into marketing strategies. A good story can turn a lifeless brand into one that has meaning: one that resonates with the end customer and lives somewhere beyond the transaction. A good storytelling strategy is the single thread that binds your whole business together: linking a brand to the emotional goals of their consumers that cuts through the noise of the hyper-competitive online environment. 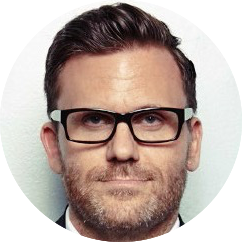 Jed says: “These days editorial strategy, brand strategy, technology, and conversion strategy need to viewed as one, inextricably linked together. It’s also the best way we’ve seen to communicate with your customers and prospects at scale. Retailers can only discover what works for them by testing different content types, analysing the results and evolving with the changing interests of consumers. Need some inspiration? Here are a few ecommerce storytelling examples from brands that are nailing it, turning static screens into engaging and meaningful platforms that convey brand personality and create experiences that resonate with their audience. You’re probably already aware of the common business catchphrase that 20% of your customers generate 80% of your revenue. If this is new to you: then you’re welcome. In ecommerce, you will undoubtedly have your heroes, your power shoppers, your VIPs - however you label them - they’re your most valuable segment. To treat these customers the same as every other customer is a huge missed opportunity. You want these profitable customers to feel valued. Offer them perks and advantages like: an extended return policy, priority support, or even a free gift here and there to help build an engaged and loyal audience. Amazon Prime is a genius example of a VIP programme in action (albeit a benefit of a company at scale). Free access to video content, free two-day shipping, Kindle perks etc, has built an incredible 54 million strong US audience, according to a new analysis. (That's up 35% from this time last year). Amazon's Prime model is a wonderful example of how loyalty can be translated into engagement and sales: linking the two is essential for any business to succeed. By the end of 2016, video content may account for nearly two-thirds of all Internet traffic - and with video ad spend projected to increase by 22% every year for each of the next five years - are you ready? Visual content is easier for the brain to grasp than text - driving better engagement than other formats on social media for example - a particularly awesome format for fostering emotional impact. Video is an extraordinary tool that is delivering extraordinary metrics in ecommerce. According to research from McKinsey, 87% of fashion brands that posted video in Q4 2015 garnered transaction rates of 1.6x or higher for video than the average post in the same period. It's a costly but necessary component of a brand’s media buy. Creating original content and connecting videos to ecommerce pages will drive success beyond the money and hassle of production. Retailers once fretted that they would not be able to compete with ecommerce companies that sold goods online, especially in terms of price and selection. Physical stores, with their high rent, limited stock space and staff costs were deemed inefficient - separate beasts than online - which is entirely untrue. Retailers are quickly realising that their physical shops are one of their biggest assets and with ecommerce giants such as Amazon, Warby Parker and Birchbox moving to build bricks as well as pixels, it’s clear that online and offline live side by side. Retailers are increasingly offering solutions that marry online with offline: such as encouraging in-store pickup of items purchased online and showrooming. An omnichannel approach will build a seamless experience that helps the customer interact with your brand wherever, whenever. Bridging the two realms together can begin with your humble content strategy. Jed says: “Combining offline and online content is becoming more important for engagement. What are some of the strategies you could employ to make your first steps in joined up commerce? Check out this amazing blog post from ecommerce expert James Dunford Wood exploring eight simple ways to bridge the online/offline divide. 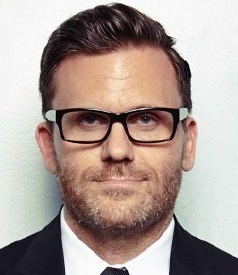 Jed Wexler is the CEO and Head of Content Strategy at 818 Agency, a leading brand development trends expert with deep experience in fashion, B2B events, retail and luxury real estate. He founded 818 Agency before “content marketing” became a widely accepted strategy to help businesses marry the power of content with data.